The members of the Scientific Medical Advisory Board (SMAB) for the Association for Creatine Deficiencies are leaders in their respective fields. Their vast knowledge of molecular and biochemical genetics research translation to clinical application, cannot be overstated. Their contributions make them a vital resource to the ACD by providing important accounts relating to metabolic disorders of creatine transport and synthesis. Dr. Longo received his MD and PhD in molecular biology and pathology from the University of Parma, School of Medicine in Italy. He trained in Pediatrics, Medical and Biochemical Genetics at Emory University in Atlanta, Georgia, USA. Currently, Dr. Longo is Professor of Pediatrics and Pathology at the University of Utah, Chief of the Division of Medical Genetics, Director of the Metabolic Service in the Department of Pediatrics, Director of the Training Program in Medical Genetics and in Clinical Biochemical Genetics and Medical Co-Director of the Biochemical Genetics and Newborn Screening Laboratories at ARUP laboratories in Salt Lake City. His research concerns the molecular basis of metabolic disorders and their identification through newborn screening. He has an active clinical research program directed toward the development of new therapies for patients with metabolic disorders. He has a long standing interest in membrane transporters for which he became interested in brain creatine transporter deficiency and disorders of creatine synthesis. He follows several patients with brain creatine deficiency and has an active interest in improving current therapies and facilitating their early identification through newborn screening. Dr. Saadet Andrews’ research focuses on creatine deficiency disorders, pyridoxine-dependent epilepsy and epilepsy genetics. Andrews and her team characterized the first knock-out aldh7a1 zebrafish to study neuropathogenesis of pyridoxine dependent epilepsy caused by mutations in ALDH7A1. This model will serve for drug screening to identify novel treatment for pyridoxine dependent epilepsy; gene discovery for epilepsy and developmental delay in childhood; gene discovery for neonatal encephalopathy. clinical biochemical and molecular geneticist. He received his A.B. degree from Brandeis University, where he graduated with high honors in the very first class of undergraduates majoring in that Department of Biochemistry. He completed his medical and graduate training at Washington University in St. Louis. His thesis research was with Dr. Carl Frieden, centering on physical biochemistry, pre-steady state enzyme kinetics and computer simulation of chemical kinetics. His pediatric residency training was at UCSD, and he remained for fellowship training under Dr. Nyhan in the Division of Biochemical Genetics. His research activities include disorders of mitochondrial metabolism, and specifically kinetic studies with stable isotope tracers. He has been a practicing physician since 1984. Learn more about Dr. Barshop HERE. Yiumo Michael Chan has been conducting translational research and developing treatments for genetic diseases in both academic and industry settings. His main interest is on various forms of muscle, neurological and metabolic diseases. Dr. Chan received his BS and PhD degrees from the University of Chicago (the genetic basis of Weber-Cockayne Epidermolysis Bullosa Simplex (WC-EBS): Genetic and functional analyses of keratin mutations) and completed his post-doctoral training with Dr. Louis Kunkel at Children’s Hospital Boston focusing on limb-girdle muscular dystrophies (LGMD). 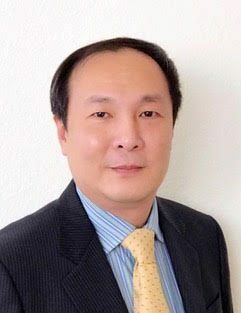 Dr. Chan was a Staff Scientist in Geisinger Medical Center and Senior Scientist in Carolinas Medical Center where he developed animal models for dystroglycanopathies which affect both muscle and brain. Subsequently, he joined Ultragenyx Pharmaceutical Inc. and was Research Lead for GNE Myopathy (pre-IND to phase III) and other small molecule programs. Dr. Chan also developed an interest in energy metabolism with knowledge and experience in creatine metabolism. He has authored over 35 peer-reviewed articles and has in-depth knowledge of both disease mechanisms and drug development process. Dr. Chan also serves as Scientific Advisory Board Member for other non-profit patient organizations, including CURE CMD. Dr. DeGrauw is a pediatric neurologist and professor of neurology and pediatrics at Emory University. His research has involved the effects of neurometabolic disorders and epilepsy on the developing brain resulting in 100 peer-reviewed publications. He has a longstanding interest in energy metabolism of the brain and specifically, he has focused on creatine deficiency syndromes after he and his collaborators were the first to find several patients with Creatine Transporter Deficiency in the early 2000s. He was instrumental in developing a CrT knockout model and showing that treatment for this condition may be possible. Denise Morita, MD is a Pediatric Neurologist in private practice in Riverton, Utah. She received her BA from the University of Washington and completed medical school there as well. She completed Pediatric Neurology residency at the University of Utah. After residency, she was on the faculty at the University of Utah School of Medicine, where she was director of the Pediatric Neurology residency program and medical director of the Primary Children’s Hospital Pediatric Education Services. In 2014, she started in private practice in order to devote all her time to providing clinical care to patients and families. She works closely with families of children with seizures due to creatine deficiencies and other causes. Dr. Salomons is a professor at the Department of Clinical Chemistry and also head of the Metabolic Laboratory of the VU University Medical Center in Amsterdam. The laboratory provides diagnostics on inborn errors of metabolism on the following levels: metabolites, enzymes, DNA/RNA as well as on the functional level. Her research is embedded in the Neuroscience Campus Amsterdam and in the Center for Childhood White Matter Disorders lead by Prof Marjo van der Knaap. The overall research aim of the Metabolic Laboratory is on unraveling the cause of neurometabolic disorders, development of diagnostic approaches, and translational research. The main interests are the cerebral creatine deficiency syndromes, 2-hydroxyglutaric aciduria’s, disorders in polyol metabolism, and most recently on aminoacyl tRNA synthetase defects. Dr. Schulze received his MD and PhD in Biochemistry at the University of Leipzig, Germany. He has worked at the Hospital for Sick Children in Toronto, Canada since 2007 and has established his own research group with a focus on Cerebral Creatine Deficiency Syndromes, Regulation of Creatine Synthesis, Pathophysiology of Guanidino Compounds, and Small Molecule Treatments. He is Director of the Newborn Screening Program at the Hospital for Sick Children, as well as the Section Head of Metabolic Genetics. Dr. Schulze was the first to report and describe the full biochemical spectrum in GAMT Deficiency and has an ongoing interest in advancing research of creatine deficiencies. 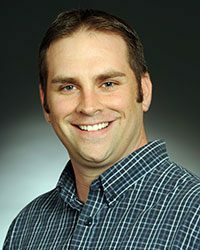 Matthew Skelton, earned his PhD in Developmental Biology from the University of Cincinnati and completed a Postdoctoral Fellowship with Cincinnati Children’s Research Foundation. He is an Assistant Professor of Neurology at Cincinnati Children’s. His dissertation work focused on the effects of developmental exposure to the drug of abuse 3,4±-methylenedioxymethamphetamine (commonly known as ecstasy). As a post-doctoral fellow in the lab of Dr. Michael Williams, Dr. Skelton developed and validated the behavioral phenotype of the Creatine Transporter (CrT) knockout mouse. This mouse is an invaluable tool that is used to answer important biological question about CTD and to test potential therapies for this disorder. The focus of Dr. Skelton’s work is to better understand what happens to brain cells that do not have creatine and how these cells contribute to the cognitive deficits observed in the mice. His lab uses a variety of techniques, from molecular biology to electrophysiology to behavioral testing, to answer these questions. He has been NIH funded and authored over 45 peer-reviewed manuscripts. Dr. Skelton is a member of the Society for Neuroscience and the International Behavioral Neuroscience Society. His lab’s website can be found here. Dr. Stockler’s research concentrates on the biochemistry of genetic neurometabolic diseases. She uses an integrated approach based on clinical, biochemical, molecular genetic, magnetic resonance spectroscopy (MRS), and imaging analyses to study two disease groups as a model for this. First, creatine deficiency syndromes: three novel genetic disorders of creatine synthesis and transport in the brain. She studies the three diseases on all levels, from an epidemiological description of molecular defects to an evaluation of treatment. The second group is disorders of energy substrate depletion in the developing brain (fatty acid oxidation defects, persistent hyperinsulinemic hypoglycemia). Her interest is in the potential of ketone bodies and anaplerotic substrates to prevent brain injury caused by this, with a paramount aim of developing improved treatment strategies in both disease groups and extending them to other metabolic diseases of the brain. Genetics Laboratory. She graduated from the Manchester University, UK with a degree in Biochemistry in 1993 and completed a Ph.D. in Biochemistry in 1998 at the Institute of Child Health, University College London. She has worked at the Duke School of Medicine since 1999, completing a fellowship in Clinical Biochemical Genetics in 2005. Her main research interest is the development and application of biomarker assays for rare, inherited metabolic disorders that will improve diagnosis of these conditions, and are useful for monitoring treatments. This includes neurometabolic disorders such as the creatine deficiency syndromes. These disorders can be diagnosed using liquid chromatography-tandem mass spectrometric assays that measure biomarkers in urine and plasma. Additionally, more rapid methods have been developed using tandem mass spectrometry that can be used for newborn screening.